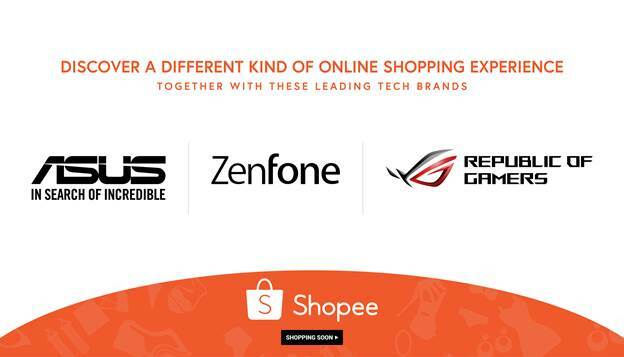 ASUS Philippines today expands its e-commerce reach by partnering with Shopee, one of the largest online selling platform in Southeast Asia and in Taiwan. The company will be opening two additional online concept stores under ASUS and Republic of Gamers (ROG) which aim to attract new and hybrid power-users in the country. 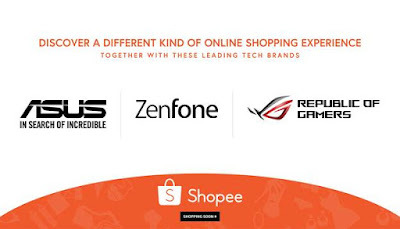 The newly opened online stores in Shopee will serve as ASUS’ gateway to its fans and other end-users all over the country looking to purchase its whole product range—from smartphones, notebooks, gaming laptops, and other devices—conveniently through a hassle-free online shopping experience. The ASUS and ZenFone Store will be carrying the complete smartphone and mobile PC lineup of the company, including soon-to-be launched smartphones, as well as premium and stylish notebooks, ultrabooks, 2-in-1s, convertibles, and all-in-one PCs. What are the new products from ASUS available in Shopee? The all new ZenBook Pro Series is a family of high-performance laptops for professionals that introduces the futuristic new ScreenPad — an ASUS innovation that revolutionizes the way users work and interact with their laptop. ScreenPad cleverly combines a touchpad with a high-resolution, full-color touchscreen to offer novel ways of interacting intelligently with both Windows apps and dedicated programs called ScreenPad Apps. Adaptive functions with context-sensitive tools enhance workflow and productivity, and ScreenPad is fully customizable to allow users to personalize their experience. The VivoBook S15 (S530) and S14 (S430) is a pair of stylish and lightweight laptops designed for the young, and the young at heart. Both laptops feature bold color-blocking designs, with five vibrant color options and several textured finishes that let users fully express their personalities. The ErgoLift hinge replicates the feel of typing on a desktop keyboard for more comfortable typing, while the new three-sided NanoEdge display design provides an immersive viewing experience. S15 and S14 are powered by up to an 8th Generation Intel® Core™ i7 processor, with NVIDIA®GeForce® MX150 discrete graphics. Both laptops feature dual-storage designs, with VivoBook S15 featuring up to a 512GB SSD and 2TB HDD. The e-sports ready Strix SCAR II and Hero II, follow-ups to the successful e-sports gaming laptops built exclusively for FPS and MOBA titles, have an all-new compact design and front light bar with customizable Aura Sync lighting. Both laptops feature the world’s first 144Hz super-narrow-bezel display with an ultrafast 3ms gray-to-gray (GTG) response time, a HyperStrike Pro gaming keyboard for improved control, and HyperCool Pro technology to cool their high-performance CPU and GPU. They are also the world’s first laptops to feature multi-antenna Wi-Fi for improved connectivity. The lineup includes ZenFone 5Z and ZenFone 5, exciting high-performance 6.2-inch dual-camera smartphones that are the first ever ZenFone models to harness the power of artificial intelligence (AI), and feature ASUS’ first-ever 19:9 all-screen displays with a 90% screen-to-body ratio in a remarkably compact size that's comparable to a standard 5.5-inch smartphone. The ZenFone 5 Q is a stylish 6-inch smartphone featuring the world's first globally-announced true quad-camera system with high-resolution and wide-angle cameras at both front and rear. ZenFone 5 Q removes the limits on photographic creativity, with a high-resolution main camera — 20MP Sony at the front, 16MP at the rear — and, uniquely, a secondary 120° wide-angle camera at both front and rear. Unlike rival systems, each camera works independently every time for perfect selfies, wefies, landscapes, portraits or groups shots. The 6-inch Full HD+ IPS display has a Full View 18:9 aspect ratio and an ultra-slim bezel, making the pocket-friendly ZenFone 5 Q as compact as a standard-aspect-ratio 5.5-inch phone. Powered by the Snapdragon 630 Mobile Platform, ZenFone 5 Q combines incredible performance, optimized power efficiency and a 3300mAh battery with advanced security and convenience features — including NFC, triple-slot SIM/microSD card holder, rapid face unlock and fingerprint recognition — for a mobile experience like no other. The ZenFone Max Pro is designed in a stylish 180g-light metal body with diamond-cut edges and 2.5D-curved display glass. At the heart of the smartphone is an advanced Snapdragon 636 Mobile Platform, which combines smooth, responsive performance with the superb battery life of 5,000mAh, and a powerful Adreno 509 GPU that is designed to support enhanced mobile gaming and browsing performance. ZenFone Max Pro handles any task easily, with performance to spare. Complementing the massive battery life are multimedia-centric features including 4GB of system memory, 64GB storage, and a 6” 18:9 FHD+ display, which guarantees that users will enjoy unbeatable performance and limitless gaming. Wrapping up the package is a dual rear-camera system with a 16MP + 5MP camera setup, perfect for consumers who want to get the most out of their smartphones. ZenFone Max Pro ships with pure Android™ 8.1 Oreo™, the latest version of the beautiful Android user interface that improves productivity, and simply lets users have more fun with their phone. The ZenFone Max Pro will be available in Shopee by July 28, 2018 for PHP 13,995.